The best way to hear your tone. Rugged construction, high quality speakers, and easy to use. Thick yet present tone, in a variety of sizes. 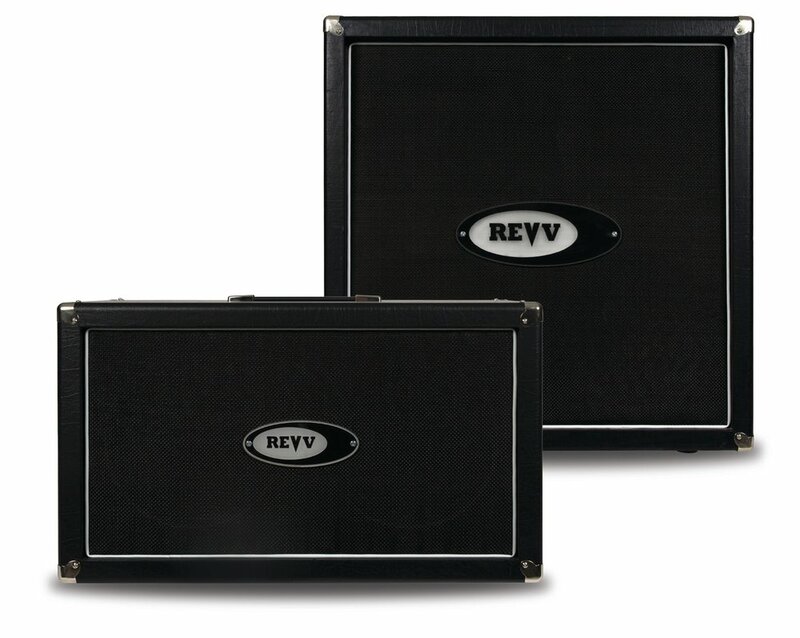 All amp tolexes & multiple grill cloth colors are available (See tolex options on the Dynamis page). Price increase for 2×12 or 4×12, compared to 1×12 stock tolex base price. Cabs perfectly paired for Revv amps! We use premium WGS speakers & build our cabs to last with 18mm baltic birch, recessed steel handles, & removable casters. We recommend a mix of Veteran 30s and ET90s, which is default in all our cabs, but will happily equip all Vet30s for an even tighter tone – and recommend ET90s for cabs intended for use with the Dynamis. – Input Jack plate not recessed – easier to find in the dark!